The University of California (UC) announced that they will not raise tuition for California students this fall. 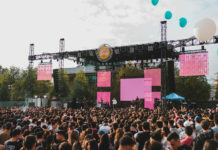 However, UC President Janet Napolitano stated that she expects tuition increases for out-of-state and international students. McBride stated that consistent with UC’s commitment to affordability, “we do not expect a minor increase to non-resident tuition (which is less than the rate of inflation) — if approved — to affect non-resident enrollment or timely progress toward graduation.” In addition, McBride noted that financial aid offices offer support in finding forms of assistance available to help families with a range of incomes meet their expected contribution. Non-resident tuition enables UC campuses to expand course availability, student advising and other services that help in-state students make timely progress towards graduation, stated McBride. Without that support, McBride said that California residents would have fewer course selections, larger classes and reduced support services. In an interview with the Highlander, Gerry Bomotti, the vice chancellor for planning and budget at UCR, stated that, “We here at UCR have a much smaller portion of our student population that is non-resident, but we believe the non-resident rate is already pretty high.” He stated that UCR was not requesting any additional increase in the non-resident costs and concurrently trying to increase its non-resident population under the existing fee structure. Bomotti believes that it is a benefit for UCR in-state students to not have a tuition increase. 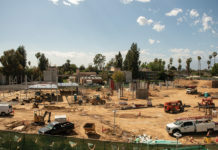 He stated that, however, approximately one-half of UCR’s total core budget that supports basic instruction for UCR students and does not include grants and contracts or housing and dining or other similar self-supporting activities comes from the State of California. If there is no tuition increase and if the state does not cover this with additional state revenue, Bomotti believes there will be a financial impact on the campus. 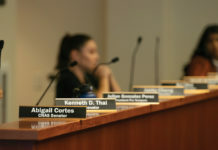 In the past, Bomotti stated that the state has agreed to fund the equivalent of a tuition increase in order for campuses to be able to balance their budgets with fixed cost increases such as salary, benefits and utilities but the state has not indicated they would provide that support for the next fiscal year. “If this happens UCR will have a budget cut in order to fund fixed cost increases,” stated Bomotti. No tuition increase for California residents will “clearly be beneficial for our students, but if the state does not provide additional revenue to the institutions (which they have in the recent past), we will have to make some budget cuts in order to balance our budget,” stated Bomotti. Bomotti stated that he is sure UCR and the UC would work to focus those cuts on areas that would have a lesser impact on students. In response to disagreements over raising tuition costs for non-resident students, Bomotti stated that as a state public institution of higher education, it is very important to serve state residents. “The value of non-resident (full paying) students is that they add some diversity to the student body, but they also can bring in additional revenue that can be used to support the campus overall, for the benefit of all students,” wrote Bomotti. Previous articleWhat can we do about the opioid crisis in America?